1 Bed 2 Baths 1 Partial Bath 597 Sq. 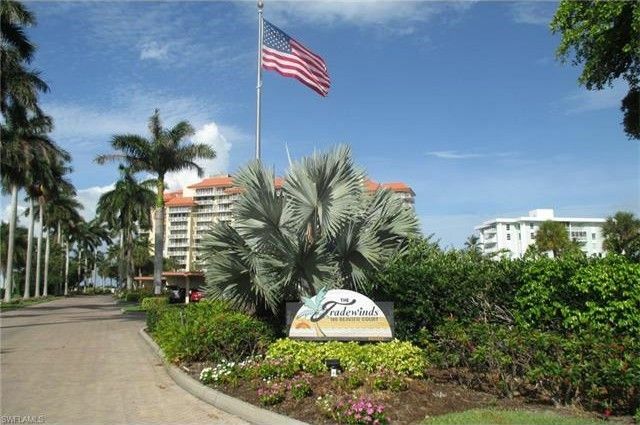 ft.
Tradewinds 1 Bedroom, 1 1/2 Bath Condo with Direct Beach Access to Gorgeous Crescent Beach. Enjoy the Fabulous Sunsets after a Relaxing Day on the Beach. This Tradewinds Condo offers a Carport with Additional Storage, Beachfront Pool, Secure Lobby with On-Site Manager and the Tropical Marco Island Lifestyle. 1 beds 2 Baths 1 Partial Bath 597 Sq. ft.